Aspirating insects at a light sheet (Welder Wildlife Refuge). Whether to collect stinging ants hand free, tiny barklice from crevices in a tree, or small moths and other assorted delicate night fliers at a light sheet, an aspirator is one of the best and most useful tools in field collection. In simplest form, this is any sort of tube separated from a receptacle via a filter. 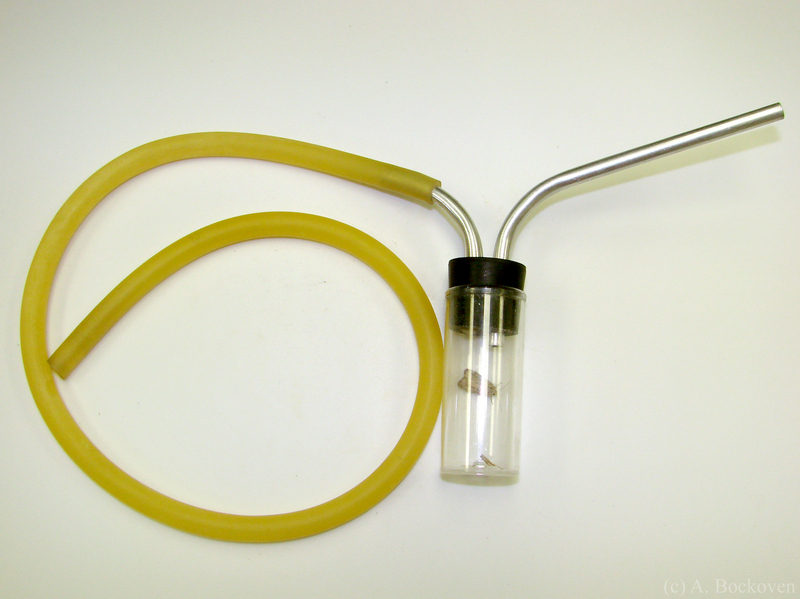 Suction on the tube pulls insects into the receptacle and traps them against the filter, from which they can easily be blown loose into a container. More elaborate models, such as the one seen above and below, actually draw the insects into the container, which can be removed and capped for storage. The fanciest aspirators may include an electric vacuum (sometimes called ‘bug-vacs’) or a system which draws the insects directly into alcohol for preservation. BioQuip sells a wide variety of aspirators, many for quite cheap. Alternatively, a simple, homemade aspirator can be fashioned from a few inches of the plastic barrel of a pen, fit into a bit of soft tubing from a hardware store with some mesh or fine cloth between. This bit of mesh is very important, and as I always remind my students, you want to make sure it is between you and the insect receptacle. Inhale a few flies and you will very quickly learn your lesson! 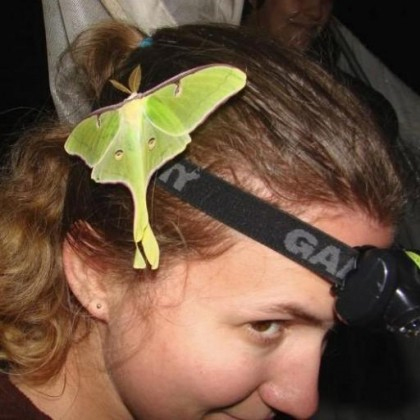 An aspirator with captured moths. Back to the techniques section. A fantastic piece of equipment. At first I did not like it because I was not using it properly. You can’t collect a small flying specimen with it, only stationary ones which show very little movement. Buy one and you won’t be disappointed.